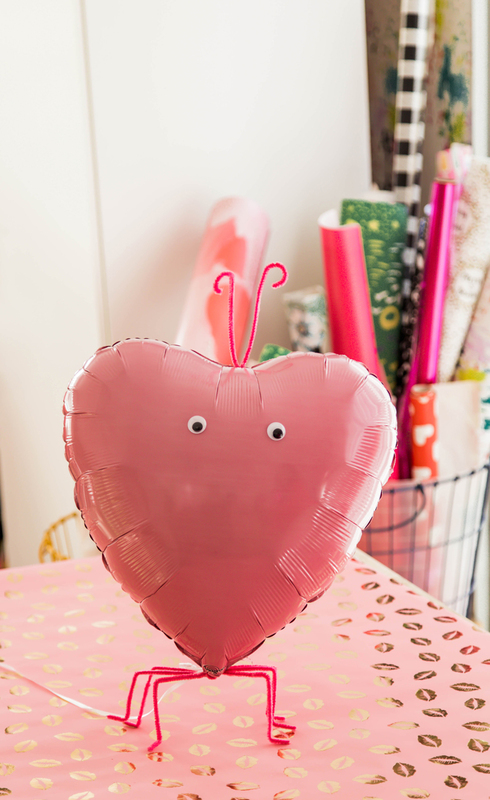 Inside: The cutest Love Bug Valentine Balloon for your Valentine’s Day party! It’s Valentines Day! I’m running around like crazy today between class parties and all the fun. Every year we bring dollar store balloons to the kid’s school. 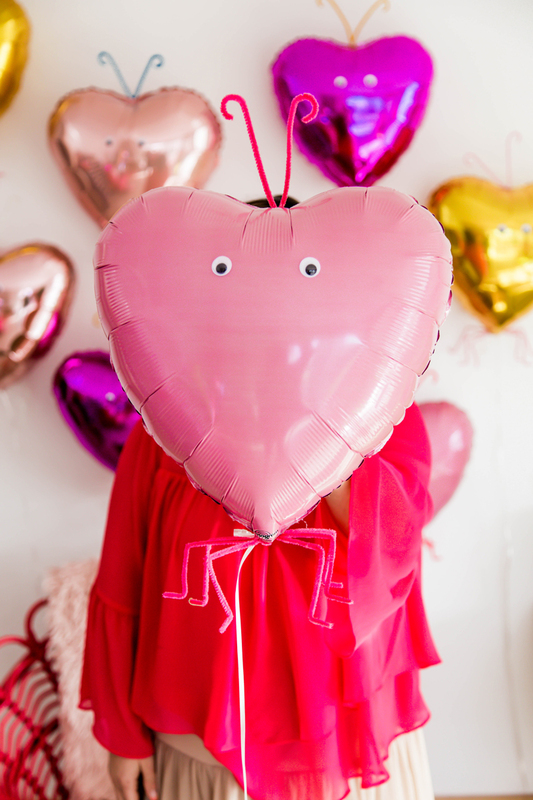 I honestly cannot think of any way to better spend a buck than on these cute DIY Love Bug Valentine balloons to make school-age kiddos happy or you can double the love with these candy heart balloons! I’ve become to be known as the balloon lady around the school halls. ;) Not a title I dislike indeed! 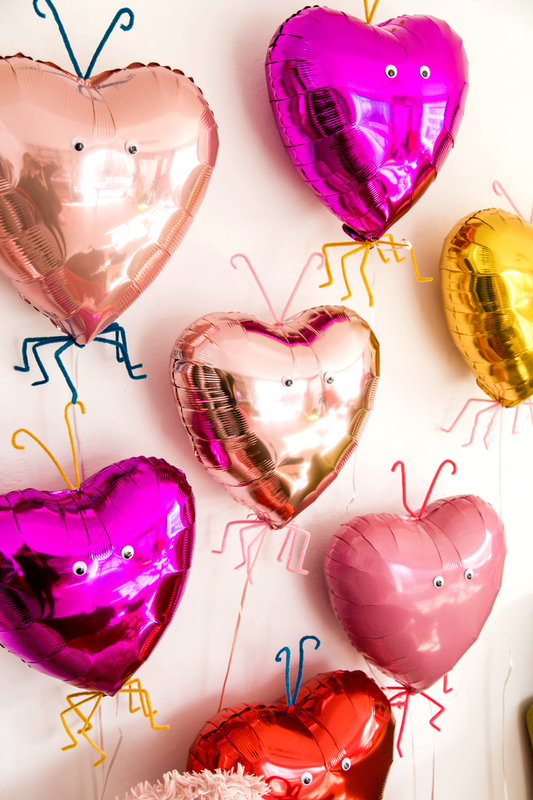 This year we decided to make the balloon idea a little more fun by making these love bug Valentine’s balloons! They are so simple and fun to celebrate the day ultimate of love. 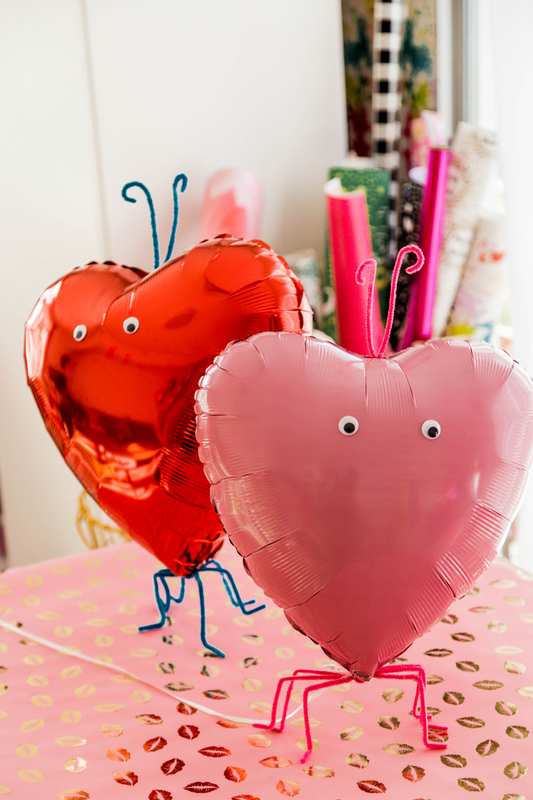 The valentines balloons turned love bugs are great because they will stay on the table like little bugs! We plan to put one on each kids desk and watch them go wild. The love bug balloon crafts are weighted by the feet which are amazing because the absolute worst thing that could possibly happen to a child is to have their prized balloon float off into the sky. These dollar store balloons stay nice and grounded, but are still filled with helium – so if the feet are detached they will fly once again. 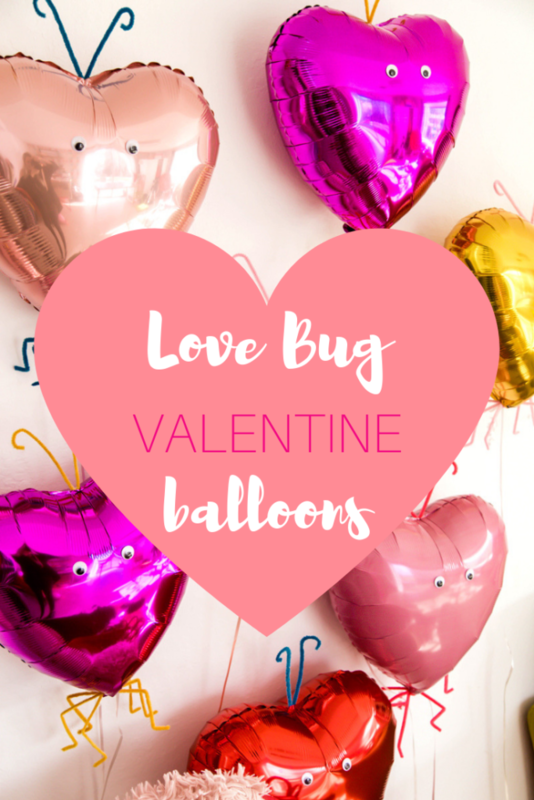 Since we are making these DIY love bug valentine balloons for the kid’s classroom party, here are a few more Valentines day party favorites. I love these yummy treat ideas, they are perfect for the kiddos. Also, these Valentine’s Day boxes are so cute for the card exchange! 1. Take each pipe cleaner and bend it in half. You’ll use 4 per balloon. 2. Use glue to attach the top one for antenna. Before positioning, bend the outside down and around to loop. 3. Bend the bottom three pipe cleaners together and gently wrap around the base of the balloon to act as feet. 4. Lastly, glue on the eyes. 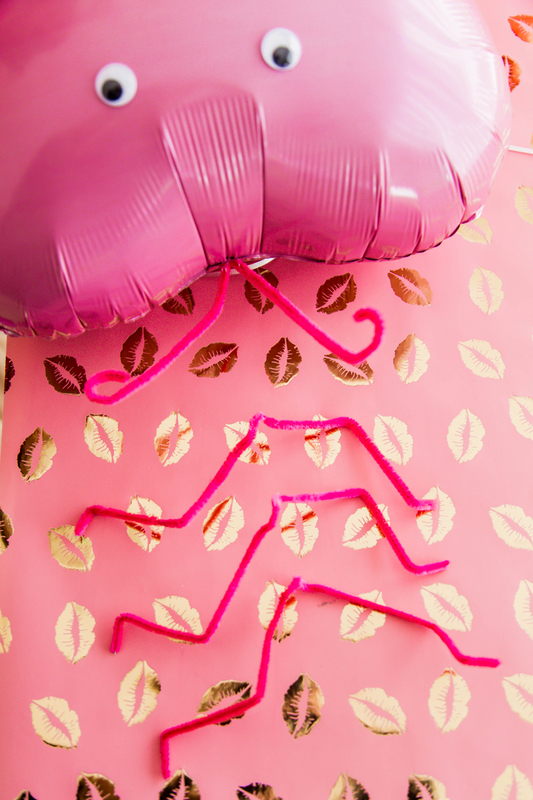 That’s it for the sweetest little love bug valentine balloons around! Enjoy the day of love today, even if it is midweek crazy filled with kids and sweets. PS. Here’s how Matt and I celebrate mid-week Valentines Day ideas. PS. 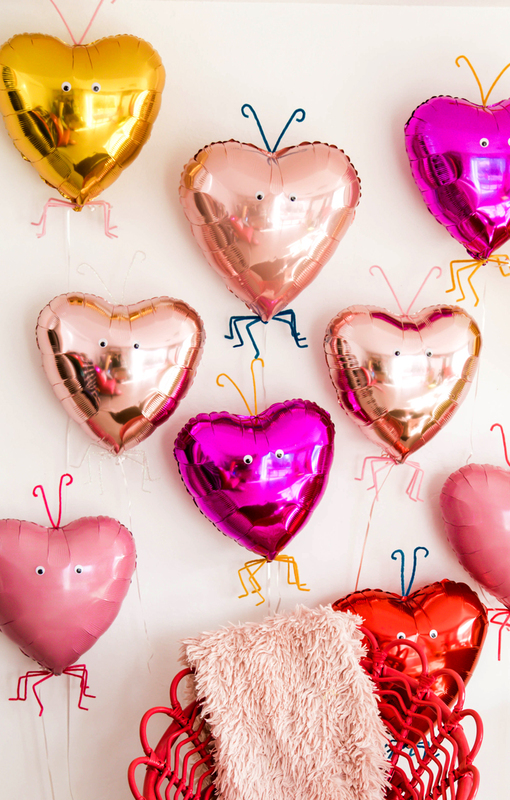 Other fun Valentines balloon ideas… a balloon surprise, and sharpie message balloons.